Description: The flowers are clustered into 1/2 inch (1.3 cm) wide, fuzzy balls of stamens and will open white and age to a pinkish color. 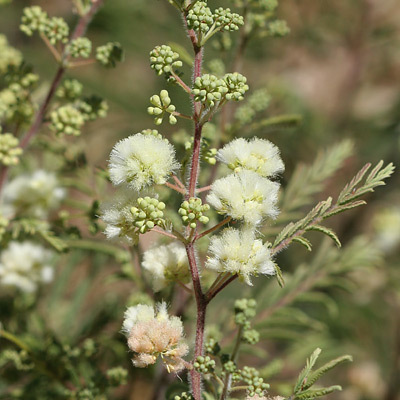 The flowers are followed by flat, elongated, brown seedpods. 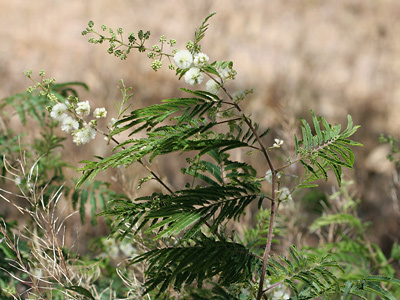 The leaves are green and bipinnate with tiny leaflets. 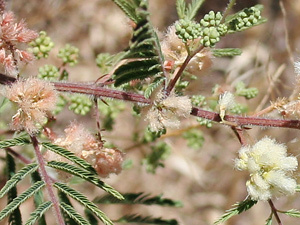 The stems are hairy, reddish, and spineless. The larger stems are ridged and grooved, unlike the similar, but taller and smooth-stemmed Lysiloma watsonii. Butterfly Plant – The flowers attract butterflies and other insects like bees.